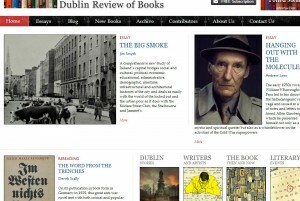 The latest issue of the DRB features an essay by Professor Jim Smyth, “The Big Smoke” in which he reviews Dublin: the Making of a Capital City, by David Dickson. This book has not yet reached the Hesburgh Library shelves, but the “on order” note is in the catalogue, where you may request it and receive a note when it arrives. An additional feature of the DRB that is of great interest to librarians is the New Books listing.